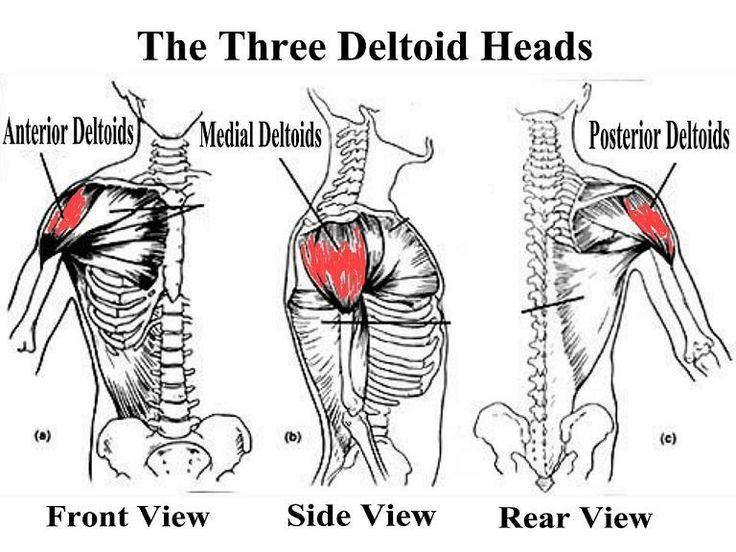 The deltoid muscles of the shoulder have three heads (front [anterior], side [medial], and rear [posterior]). Below, we show you four exercises that you can perform to strengthen all three heads using your resistance tube set. The first sequence of moves will be the front raise, lateral raise and reverse flys. The second sequence of moves should be the shoulder press and reverse flys. Because the front and side heads are worked during the shoulder press, it will not be necessary to perform the lateral raise separately. When performing the front raise, side raise and reverse flys, you may be able to use the same resistance tube tension level successfully. 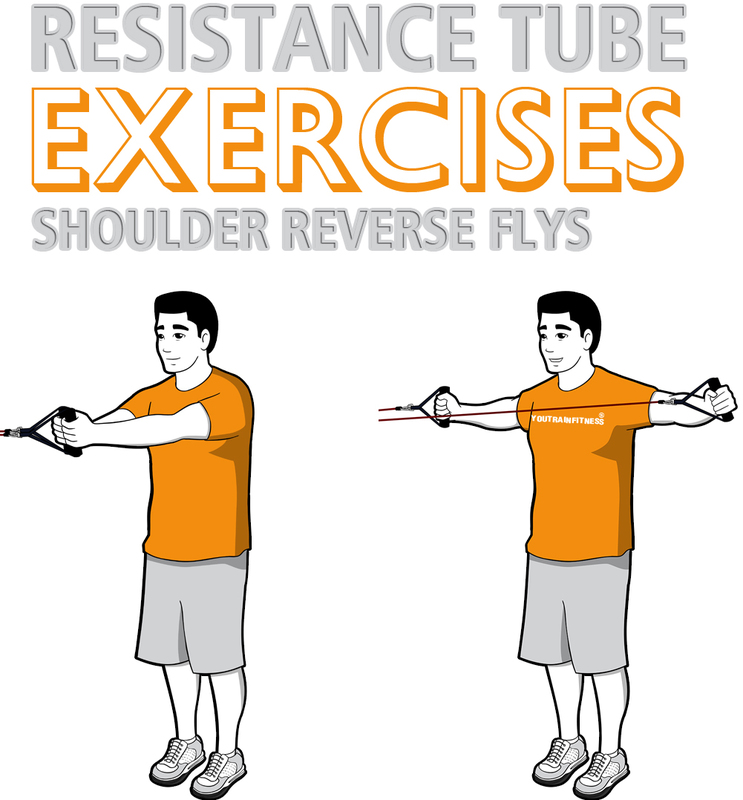 When performing the shoulder press and reverse flys, you may need to use a heavier resistance tube for the shoulder press and lighter for the reverse flys. 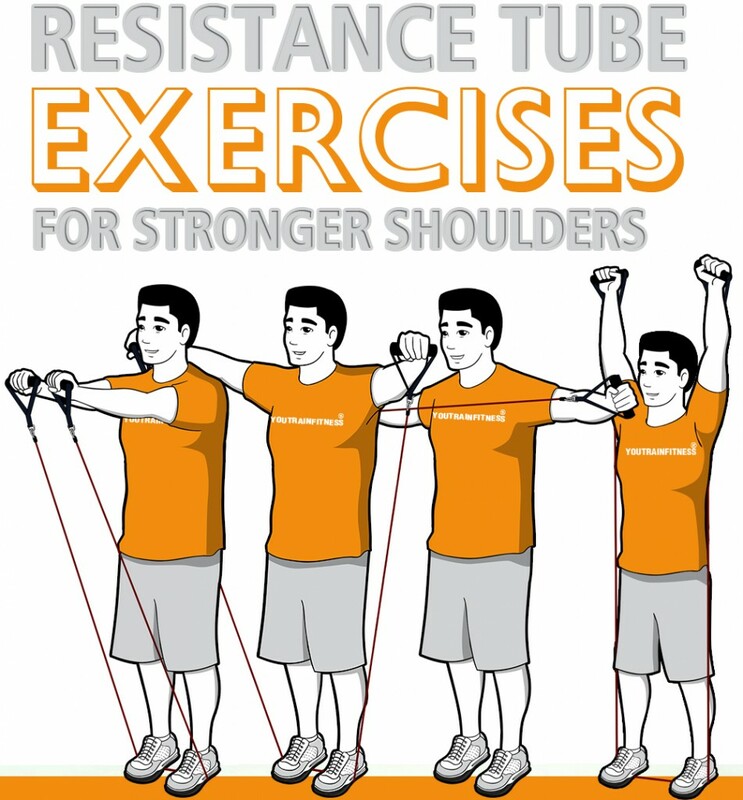 If you’ve purchased the complete resistance tube set (see right sidebar), the contents received included the proper tension levels that you need for this and all other exercises. Grab a light to medium resistance tube and place one or both feet on the center of the tube (one foot provides less tension and two feet provide more tension). Position your hands to the side so that your palms face rearward. Engage the core, bend knees slightly, and raise your arms evenly until they both reach shoulder level. Exhale during this lifting position then begin to inhale while lowering arms back to the start position. That’s one rep. Repeat the movement again or 8-12 or 12-15 based on your desired repetition goal. Grab a light to medium resistance tube and place one foot (for less tension) or both feet (for more tension as pictured above) on the center of the resistance tube. Position your hands to your side with palms faced inward. Engage the core, bend knees slightly, and raise your arms evenly out to your side until they both reach shoulder level. Exhale during the lifting phase then inhale and lower arms back to the start position. That’s one rep. Repeat the movement again or 8-12 or 12-15 based on your desired repetition goal. 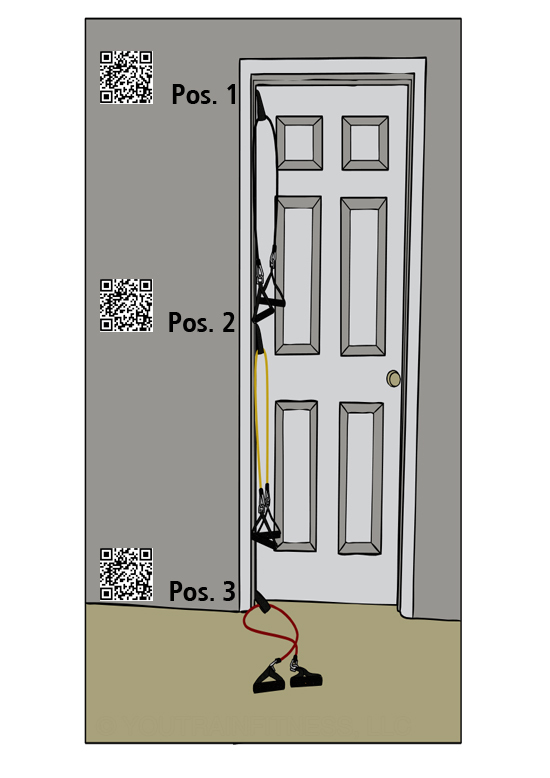 Grab a light to medium resistance tube and place it through the door anchor at chest level [Pos. 2]. Position feet shoulder width apart and hands raised at chest level with no slack on the band. Engage the core muscles and bend knees and elbows slightly. Pull arms apart from each other out to the side at shoulder level until the arms are position at 180 degrees (body forming a “T” as pictured above). 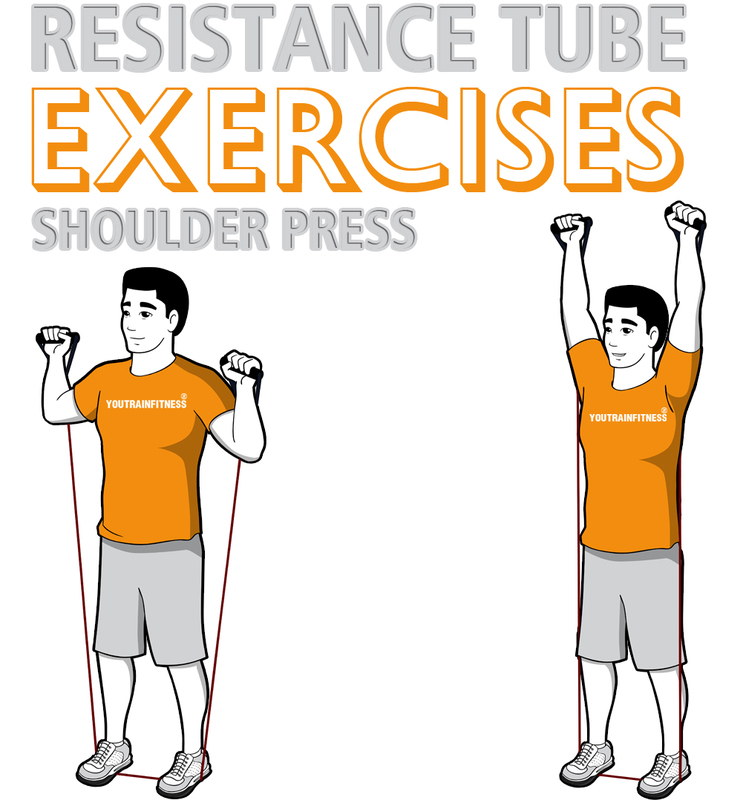 Raise your arms evenly out to your side until they both reach shoulder level. Exhale during the lifting phase then inhale and lower arm back to the start position. That’s one rep. Repeat the movement again or 8-12 or 12-15 based on your desired repetition goal. 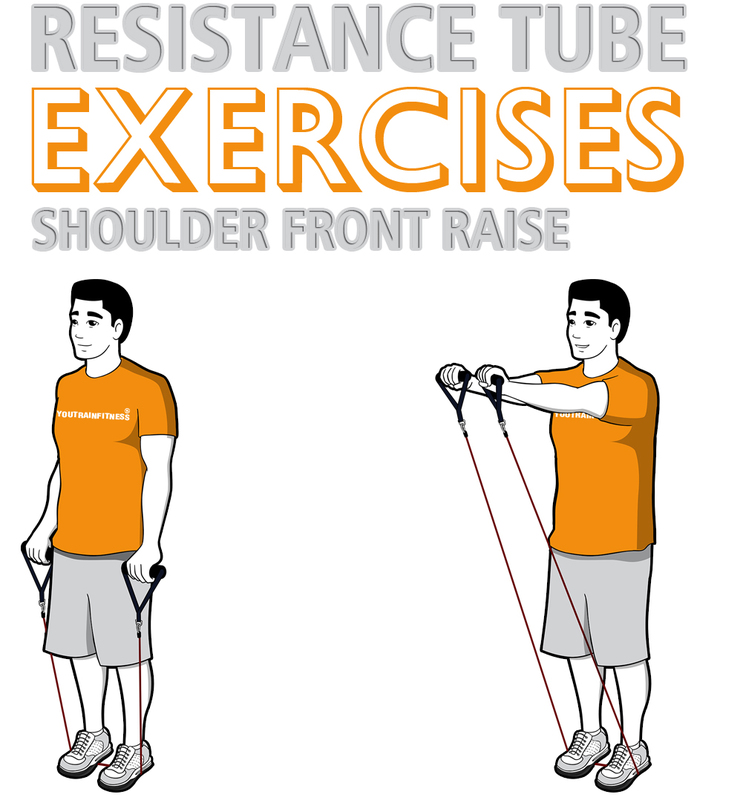 Grab a medium resistance tube and place both feet evenly spaced shoulder width apart. Position your hands to your side. Engage core, bend knees slightly, bend at elbow and lift handles to shoulder level with palms faced forward. Press both arms overhead, exhale during the lifting phase, then inhale and lower arms back to the start position. That’s one rep. Repeat the movement again or 8-12 or 12-15 based on your desired repetition goal. 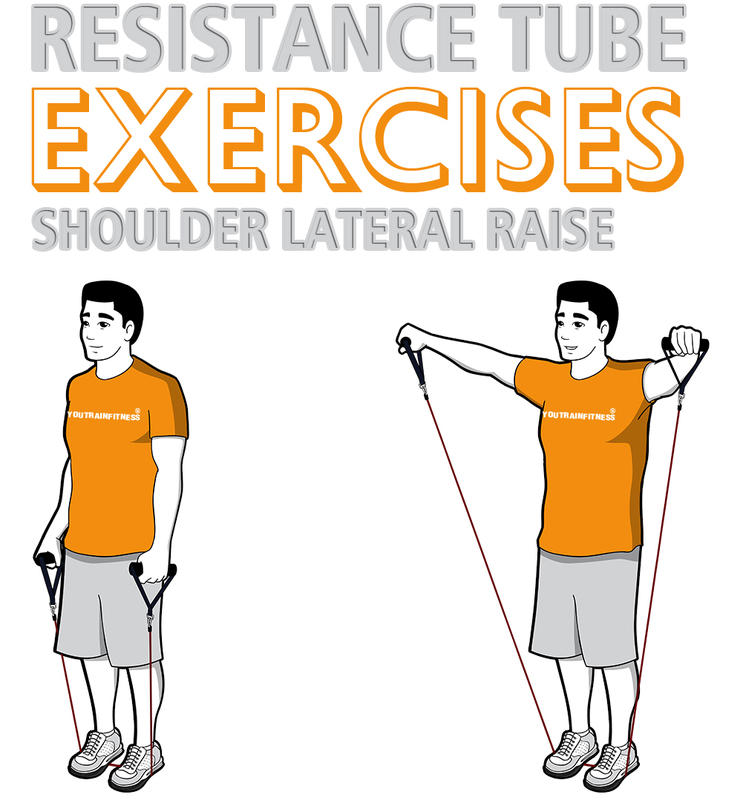 This entry was posted in How to Guide and tagged Resistance Tube Training, Shoulder Exercises, Shoulder Stability.